This is a great prank for April Fools Day! 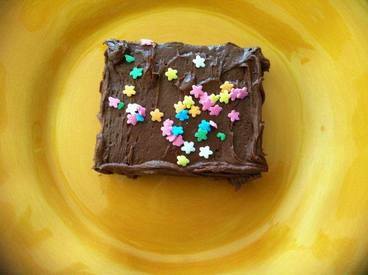 The brownie looks very real but is just made from a sponge and frosting. The best part of this is it only takes about 5 minutes and everybody will fall for it because nobody is expecting a brownie to be fake. It is so hilarious to see people bite into the brownie. It is quick and easy! !